Protesters continue to clash with security forces in what has spiralled into Ethiopia’s largest unrest in decades. Addis Ababa, Ethiopia – At first sight, things seem to have returned to normality in the town of Ambo, 120 kilometers West of Ethiopia’s capital Addis Ababa. Few uniformed security forces are visible on the streets. People seem to go about their daily lives as usual. But speak to almost any resident, and a different picture emerges. “We are living in a violent kind of peace,” says an 18-year-old student, who does not want to reveal his name. As many people interviewed for this story, he fears he might end up in jail, or worse, for speaking his mind. Ambo is perhaps best known for two things: Ethiopia’s most popular mineral water, and its university, often a hotspot for anti-government demonstrations. Such displays of public dissent earned the town a reputation as the bastion of opposition in a country where the ruling party and its allies took all 547 parliament seats in last year’s election. When people took to the streets in nearby Ginchi in November last year to object about plans to requisition public land for an investment, residents in Ambo soon joined in. Demonstrations spread like a wildfire across the vast Oromia region, feeding on decade-long frustrations over political and economic marginalisation. As the protests intensified, so did accounts of police brutality amid what regime critics describe as a widespread and systematic government crackdown on opponents. 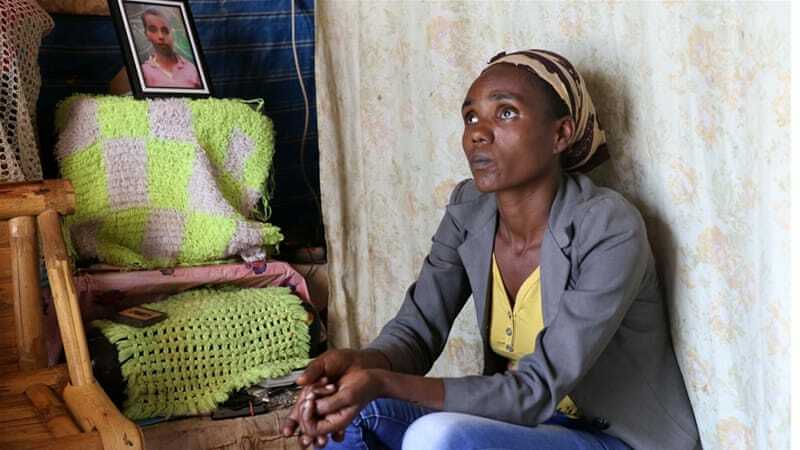 Witnesses recount tales of killings, beatings and arbitrary arrests by an array of armed forces deployed to quell what had spiralled into Ethiopia’s worst civil unrest in a decade. The heavy-handedness of the government has further spurred anger among the Oromo. Earlier in March, students from Addis Ababa University marched in protest towards the US embassy in the capital, demanding the end to police crackdowns. Details of the crackdowns, mostly reported through social media and by activists, have been difficult to verify. Restrictions on movement have made independent investigations risky for human rights workers and journalists alike. Two foreign journalists and their translator were recently arrested for covering the protests. The 18-year-old student in Ambo told Al Jazeera that he was shot in his hand when the military opened fire at the protesting crowd. Even though his hand is healing, he hasn’t returned to school in fear of intelligence officers, who are allegedly combing classrooms for those who took part in the protests. “They are still looking for people and taking them to prison,” he said, trying to conceal the dressing on his hand to avoid attracting the attention of security personnel, who many think are roaming the streets in civilian clothing. Such testimonies stand in stark contrast from the image the country often presents to the outside world. 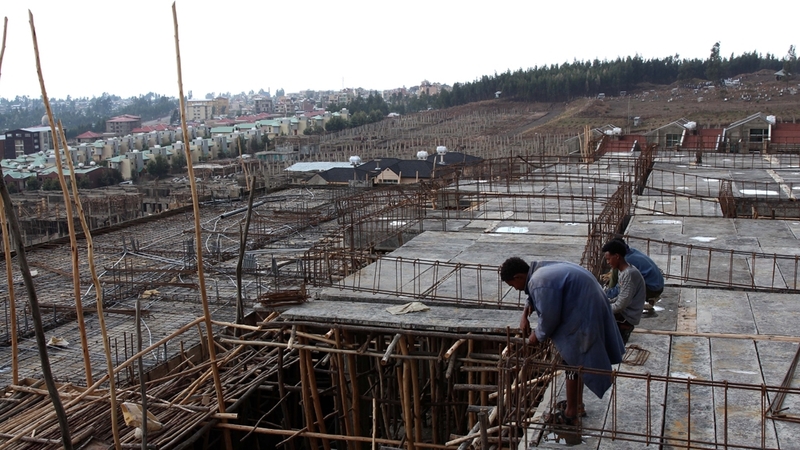 Ethiopia’s state-led development plan has resulted in double-digit growth, improvement of key socio-economic indicators and has helped attract billions inaid. The country is also an important security ally for Western governments in the volatile Horn of Africa. It’s uncertain how many people have died in the clashes. Local observers put the figure at between 80 and above 200, while New York based Human Rights Watch (HRW) estimates that well over 200 people may have lost their lives since November. More than a dozen police officers have also been killed in the unrest. Protesters stand accused of attacking public buildings and burning the houses of government officials. The government has dismissed HRW’s death toll as an exaggeration, but has yet to provide its own estimate. “We are already taking actions, except that we are not in a shouting match with the media or self-appointed human rights activists,” said Getachew Reda, Ethiopia’s minister of Information. The government has accused radical elements of stoking the unrest but asserts that investigations into the heavy use of force are under way. Yet many Oromo say authorities have failed to take responsibility. Four families of victims interviewed said no government officials had come to investigate the deaths of their loved ones. “The only time any government officials come here is to spy on us,” said Worku Bayi, the father of one of the victims killed in the protests, 22-year-old Aschalew Worku. 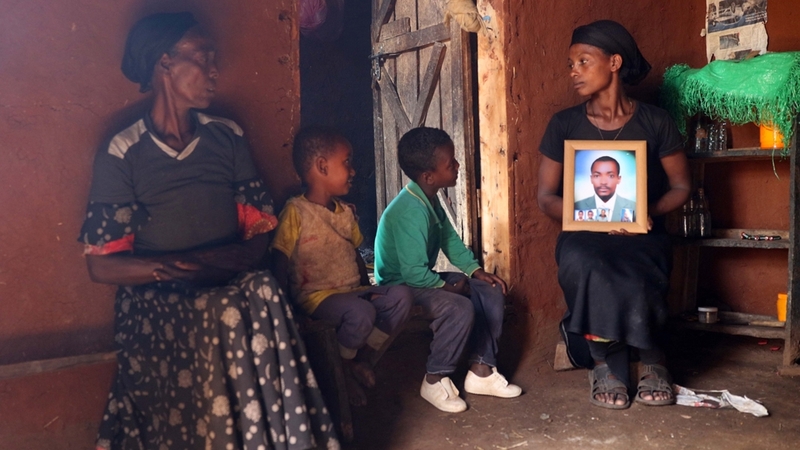 After his death, authorities reportedly accused Aschalew of being a member of the Oromo Liberation Front, an exiled opposition movement that the ruling party has labelled a terrorist organisation. Witnesses blame security forces for deliberately obstructing medical care for wounded protesters. Fitale Bulti, a resident of Ambo, watched her nephew bleed to death after he was allegedly shot by security forces. “The police wouldn’t let us take him to the hospital,” said Bulti. “For over an hour we just stood there, watching his blood run down the street.” Her nephew, Ulfata Bulti, was only 12 years old. Just across the street, Degeneh Shugi, 36, says he was stopped and beaten by security forces while on his way to work. Accused of participating in the protests, he was then taken to the police station along with 15 others, where he was held for four days. Degeneh’s mother, Derebe Yirga, who is a member of the Oromo Federalist Congress opposition party, reportedly remains in police custody. Rights groups and opposition leaders allege that thousands have been arrested in the most recent crackdowns, a scale that is reminiscent of mass arrests of opposition members during the turbulent aftermath (PDF) of the 2005 elections. “There are several hundreds that have been detained from our party. But we don’t know for sure, as we have lost a lot of communication,” said Merera Gudina, chairman of the Oromo Federalist Congress opposition party in an interview in Addis Ababa. Gudina named five members of the party’s top leadership who have been held or placed under house arrests since protests began. Al Jazeera contacted several officials in the Oromia regional government for comment, but was denied interviews amid rumors of internal reshuffling. Analysts and observers believe that the handling of the crisis has created a rift between the ruling TPLF, the lead party within the ruling collation, and its allied OPDO party charged with governing Oromia. The OPDO’s decision to halt a controversial “master plan” that governs the expansion of the capital into Oromia, which is what initially sparked protests, has failed to put an end to the crisis. Many Oromo demand genuine reforms and justice for those killed. “The government said it would stop the master plan just to calm the people. But what we need is a lasting solution to this crisis,” said 23-year-old Gudisa Ragassa, the younger brother of another victim killed in Ambo.